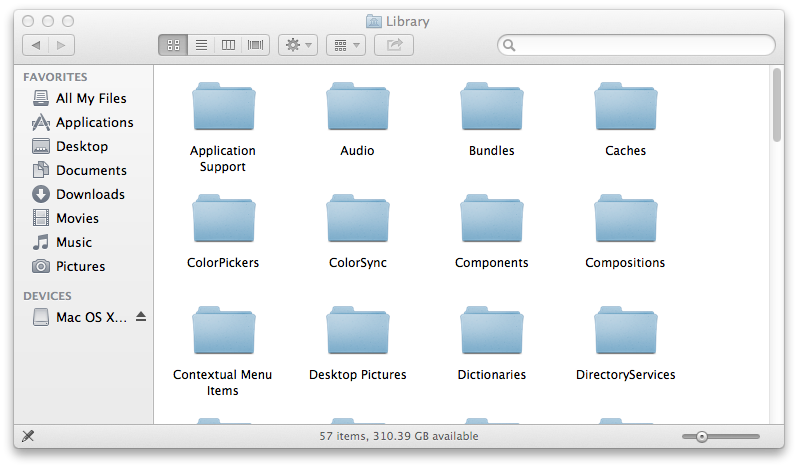 Is it safe to delete the file Caches, in the Library of the Mac OS X Hard Drive? It's a pretty big file, 3.56 GB, Caches reminds me of logs i don't need or browser cookies. Is it safe to delete the folder "Caches"? It's generally safe, though a little dangerous depending, to do it but often not worth the effort. The caches in /System/Library/Caches are generally small and useful, the ones in /Library/Caches are less system caches and much more readily cleared. If you have a look in ~/Library/Caches you will find a bunch of applications have a cache in there, none of them particularly large though dropbox sometimes has a fair sized cache. This folder can run quite large just because so many apps cache something in there. If the cache /Library/Caches folder is over 3Gb then you have something that is caching quite a lot. On the three machines I just checked none had a /Library/Caches folder over .75 Gb so I'd go right ahead and remove some of it. Don't worry about age, I'd worry about size. In the terminal run du -s /Library/Caches/* | sort -n and you will get a good idea of which are the larger caches. Of course the best way to clear the caches is to install AppleJack and do it with that in single user mode. Doing it with the System fully up can be a little dangerous. If you do it then I'd reboot immediately afterwards. Have no fear, delete caches but I prefer to do it either via Single-User mode or I use https://www.titanium-software.fr/en/onyx.html Check Onyx out as it does some good maintenance scripts as well. Yes. However you may want to look inside the folder and selectively delete old caches rather then just dumping the whole folder. I would not blindly delete all. If you want to do a safe clean up, use the browser tools for history and cookie clean up. My cache folder is 3.7 gig, and it does contains some important files, so I would not mess with it. 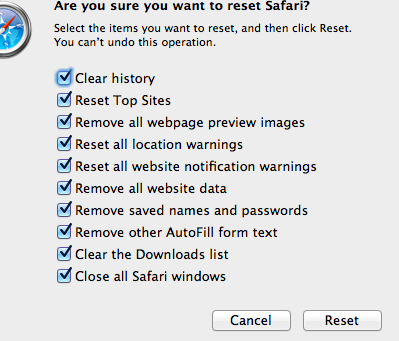 For Safari use the Reset Safari function and select your choices. FYI, in my case the app Garmin (European GPS maps) was using >2gig in cache. Once I was done with it, I deleted it and now back to .7 gig. In summary, cleaning cache is usually best done by using the respective browser's tools, to delete all the junk accumulated from the web. If you delete something important by mistake that way, well go on the web and get it again. Yes, it is safe. That said, don't just delete all the contents of your cache folder without reason. It can be beneficial to clear out those taking up the significant space in your ~/Library/Caches/ if you need to free some up, but you really shouldn't clear any contents of your /System/Caches unless there is a problem. As would be expected, you will find that the programs you access most often have the largest cache size. There's a misconception that purging your caches regularly constitutes "maintenance," optimization, etc of your machine, but that's a fallacy; Always remember that caches improve the performance of your machine, and shouldn't be cleaned out regularly or blindly without a specific reason. Really, the only two reasons to clear out a cache are 1) space considerations (it’s simply growing too large) or 2) You're troubleshooting a problem. Not the answer you're looking for? Browse other questions tagged macos hard-drive file . Trying to Free Up Space - Can I Delete Library Cache? Is it safe to delete ~/Library/Caches/com.apple.iLifeSlideshow/Pictures? Is it safe to delete dSYM files on Mac OS X? Is it safe to delete the content of ~/Library/Logs?